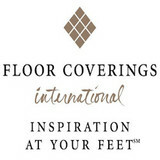 At Floors of Distinction, we believe that flooring is the MOST important element of interior design. Flooring is the foundation that everything else is layered upon. Our goal is to help you find the floor that is "distinctive" to your life (how you live), as well as your style (design personality). Because flooring has a major impact on your home's overall feel AND function, many homeowners begin their flooring search with a lot of FEAR. Questions that we typically hear include: * With so many choices where do I start? * What looks best in my home with my trim and cabinets? * Will this flooring stand up to my kids and pets? * Is this a good choice for resale? * How much should I spend? * Do you have installers that do good work? With large samples to take home, interior designers that get to know your life and style by visiting your home, and professional installers to execute the transformation, together we will make sure you get the end result you've been dreaming of. Unique Wood Floors is the leading factory direct specialty retailer of hardwood flooring centralized in the heart of Minnesota. We work hard everyday to bring the finest of the hardwood industry directly to your door. With an in-stock selection of hardwood floors, transition moldings, stair treads, and maintenance products we are able to control the integrity of our products and offer a highly reliable delivery time on every job. Whether you're looking for the latest trends in hardwood flooring or timeless classics, our attention to detail from design to delivery will help you achieve the house of your dreams. *Authorized Dealer of Shaw Floors* From Flooring to Countertops, Tile & More, you can find it all at Village Floor! We boast a beautiful & inspiring showroom with a wide range of products & name brands you know & love! With an A+ Better Business Bureau rating & over 30 years in the industry, our dedicated team of award-winning designers & experienced craftsmen offer a practical & thoughtful approach to help you make informed decisions about your home improvement project. From sharing technical product applications & real cost expectations, there is never any pressure, only professional advice. We want all of our customers to have a worry-free experience from beginning to end & strive to leave our customers with a good, lasting impression. Village Floor is a family-owned company started in 1983 by Brent Pobuda & his wife Patty, along with a top-notch team of professionals that includes their two daughters. We're all like family & we all work together to make sure each customer is cared for like family, offering quality products at a fair price, and honest, dependable craftsmanship. 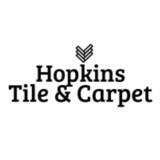 Products We Carry: Hardwood & Laminate Flooring, Carpet & Custom Area Rugs, Ceramic Tile & Stone, Vinyl & Luxury Vinyl Tile, Laminate Countertops, Granite & Quartz Countertops, Window Treatments & Commercial Products. Brands We Carry: Shaw, Mohawk, Karastan, SmartStrand, Stainmaster, Godfrey Hirst, Dixie Home, Masland, Tuftex, Mannington, Tarkett, Armstrong, Evoke, Karndean, Cambria, Hanstone, Caesarstone, Formica, Wilsonart, Interceramic, Eleganza, Paramount, Hunter Douglas & many, many more! We are a hardwood flooring company that can supply, install and finish your hardwood floors. We work with custom floor installations to resanding and finishing old floors. 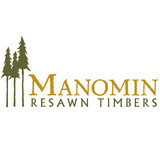 *Authorized Dealer of Shaw Floors* Flooring, countertops, custom window treatments, interior design & more! Hertaus Floors is committed to offering you a huge selection of competitively priced options for your home design project. Being a family owned and operated business, we take great pride in our knowledgeable sales staff and our expert installers. Whether you've just started thinking about a new floor, have begun shopping, are awaiting installation, or just have a few questions about your recent flooring, we are here to serve you and will assist you every step of the way. *Authorized Mohawk Dealer* Family owned since 1963, Bisek Interiors in Montgomery, MN, has provided a full-line of home interior products and services including quality flooring and professional interior design services. Serving both the residential and commercial sectors of Southern Minnesota, our service area spans a range of communities, including New Prague, Lonsdale, Burnsville and Mankato. As a family owned and operated business we take great pride in serving all of our customers, whether they’re simply searching for DIY products or are purchasing new flooring with complete installation services. At Bisek Interiors we operate with a 5,200 square foot interior design showroom filled with displays and products, including the very best in residential and commercial flooring and countertop applications. KW Floors provides sales & installation of Hardwood, Laminate, Carpet, Vinyl and Luxury Vinyl. We also offer refinishing of existing Hardwood. Our showroom is located at 313 Central Ave in Osseo, MN. Floors By Steve has been the hardwood floor specialists in the St. Paul and Minneapolis area since 1980. Floors by Steve specializes in the installation and refinishing of hardwood floors. That wood floor specialty is why our customers receive outstanding results from the hardwood floors they entrust to Floors by Steve. Come visit our showroom! UB Hardwoods provides complete hardwood flooring services throughout the entire Twin Cities region and state of Minnesota. From hardwood floor refinishing to installing brand new hardwood floors, the team at UB Hardwoods has the knowledge and experience to complete your project to the highest of standards! Our team uses special dustless equipment that does not pollute your home. We value our customers and do everything in our power to keep your home looking its best. We serve commercial and residential customers. We even reclaim hardwoods and match your old wood floors perfectly to spruce up your existing surface. Our team will even work 7 days a week to accommodate your schedule. We have been serving the area since 2001 and are a member of the Better Business Bureau, Angie’s List and more. Please contact us for an appointment to receive a free estimate or visit our showroom. Our experienced team will work with you and listen to exactly what you want to do. We can guide you toward the best flooring options to suit your dream. If you are considering installing or re-doing your existing hardwood floors, Brenner Floor is here at your service. We've been around since 1925. We install hardwood floors of only the highest quality solid wood, pre finished & unfinished, engineered wooden flooring, laminate and LVP. We also specialize in Dust Free floor sanding - residential and commercial. We know various techniques for treating hard wood like hand scraped hardwood floors, dark staining and the best finishes to protect your floors. When given the opportunity I am confident that you, as so many others have, will become a part of our satisfied "family of customers" in Minnesota who have received quality hardwood flooring. My goal is to have a happy, satisfied customer who will enjoy their wooden floors for many years to come... and have a positive experience during the process. 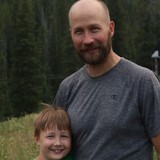 I feel confident advising, answering any questions, or addressing your concerns for any unique wood flooring situation. Our team of Workers: We have earned respect and longevity to be where we are today. We have dedicated, responsible, great character workers who enjoy their trade and it shows in their quality workmanship. Because of the many years of working together, we've bonded genuine friendships with our families and enjoy activities together outside of work, this has built a genuine, unique team for our business, we enjoy each other, respect and stand together to keep our company in positive standings and we'll be here for many years to come. Please call us for a no obligation consultation today! Your home is where you spend most of your time, which should reflect your personality, style, and taste. With over two decades of flooring experience, we put our knowledge, craftsmanship, and uncompromising standards to work for you. By creating a living space you'll love. The Schlagheck family at Traditional Floors & Design Center has gained trust and knowledge in the floor covering business in St. Cloud, Minnesota and Central Minnesota since 1965. Our experienced design team at Traditional Floors & Design Center is dedicated to helping you create and design a home you can be proud to entertain in. We also have dedicated subcontractors and an experienced installation crew to make sure your products are installed properly Traditional Floors & Design Center in St Cloud, Minnesota is like no other. We have a large selection of floor covering and many unique items throughout the store. Ken and Pam Schlagheck have designed 32 different show rooms with a variety of floor covering products to help you envision the design possibilities for your new room(s). It has been our goal (for over 20 years) to provide the highest quality of hardwood flooring installation and finishing with a professional attitude. We are extremely proud of the quality experience and customer service given by our crews as well as from our office staff. Classic yet contemporary, hardwood floors are one of the most beautiful types of flooring a home can have. However, if not installed correctly or damaged, a floor can threaten a home’s entire interior aesthetic. That’s where Eden Prairie, MN hardwood flooring installers and dealers step in. Whether you need a hardwood floor installation or replacement, or just want some guidance on the types of hardwood flooring available, these Eden Prairie flooring pros can help. What kinds of services do hardwood flooring installation professionals in Eden Prairie, MN provide? Find hardwood floor experts in Eden Prairie, MN on Houzz. Search the Professionals section for Eden Prairie, MN hardwood flooring installers and dealers or browse Eden Prairie, MN photos of completed installations and look for the professional’s contact information.